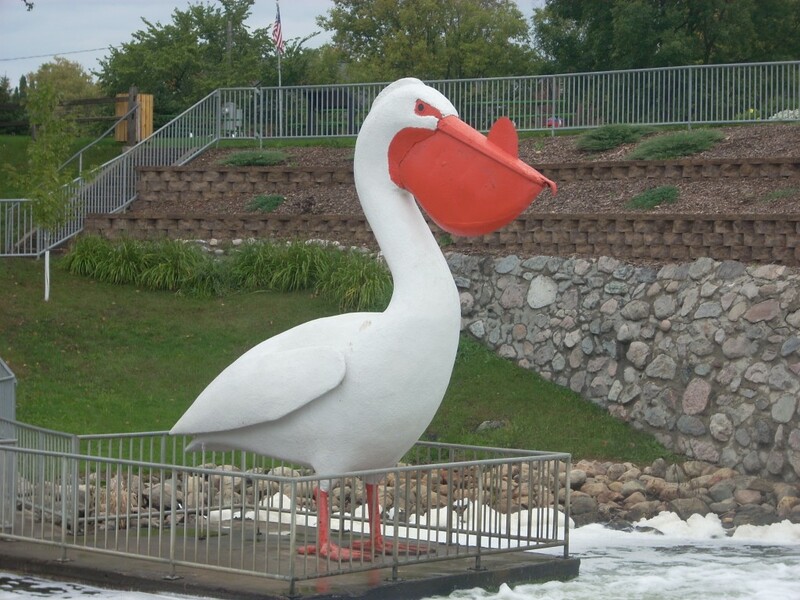 Right next to the Mill Pond Dam in the heart of downtown Pelican Rapids is the World’s Largest Pelican. 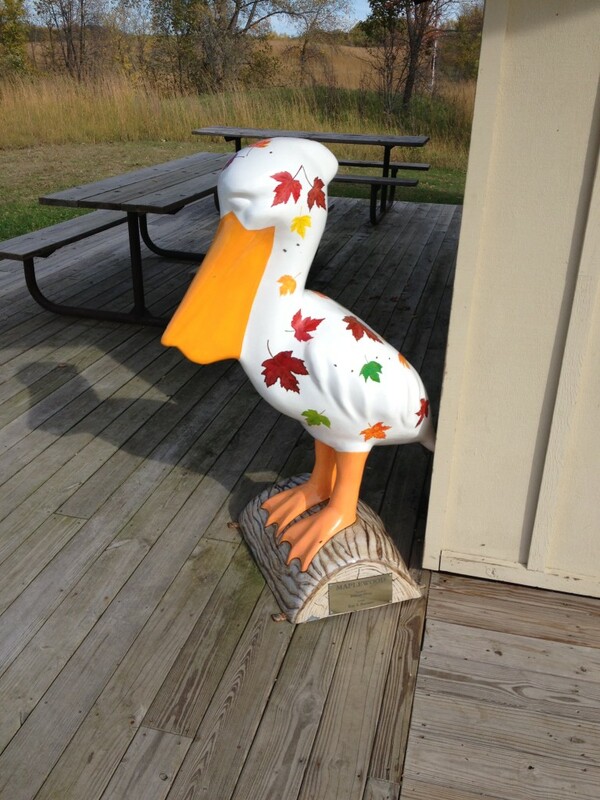 “Pelican Pete” is 15 feet tall and stands sentinel over the Pelican River. There is a great little park area to get a photo and watch the water crash down the dam. 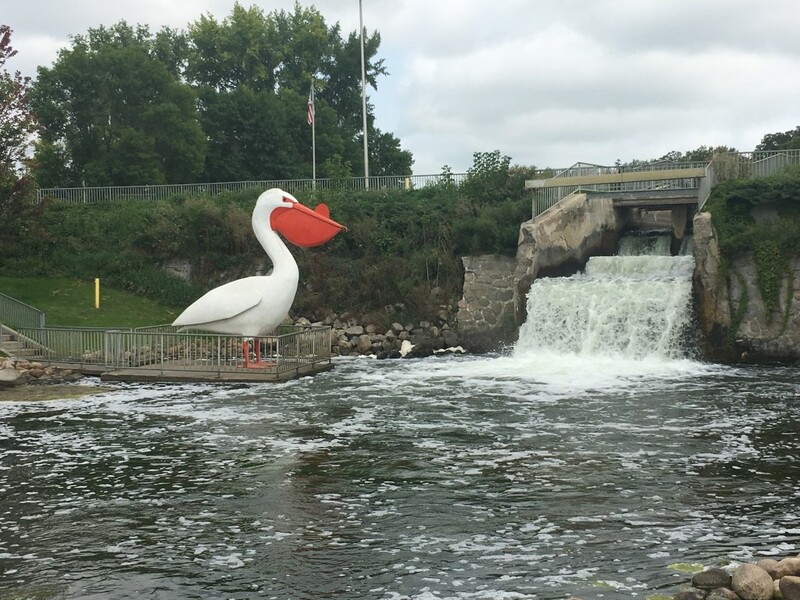 It is said that Bemidji’s Paul Bunyan statue was the inspiration behind Pelican Pete, which was built by citizens of Pelican Rapids in 1957 for the town’s Jubilee Celebration the following year. He was built with plaster and concrete around a metal frame. In wintertime, sometimes the town dresses him up with a hat and scarf. 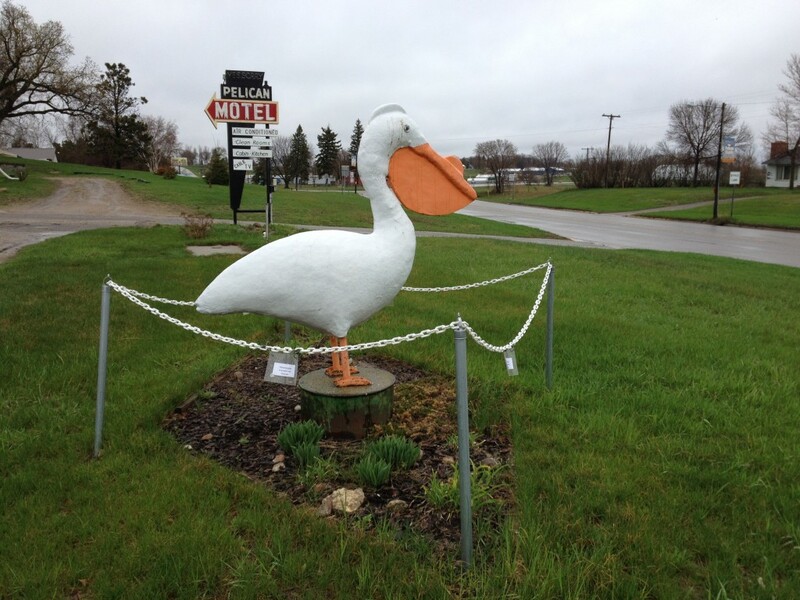 Additionally, found all over town are smaller, 4 foot tall pelicans decorated in different designs outside of local businesses, which were part of a community art project in 2007. Also in town is a smaller pelican statue in front of the Pelican Hotel on the north end of town. See how many you can count on your next trip through! 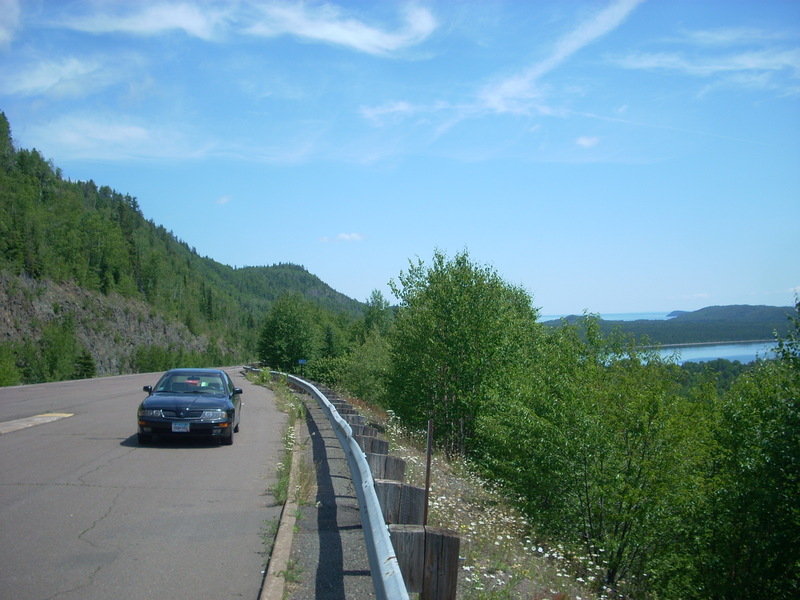 This entry was posted in Highway Highlights and tagged Bird, MN, World's Largest by Seth5544. Bookmark the permalink.